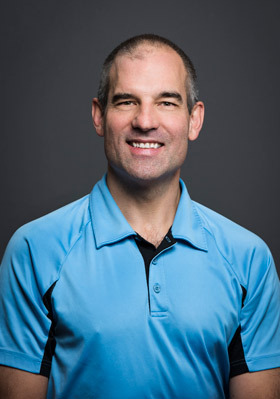 At Clayton Park Chiropractic Centre, Dr. Doug goes beyond treating your symptoms—he aims to discover what’s truly going on in your body and provides the most effective treatment possible to bring you back to living your best life. Through a custom treatment plan designed to meet your specific needs, Dr. Doug will work with you to correct the issue at hand through gentle, natural and effective chiropractic care. Dr. Doug experienced the initial benefit of chiropractic care through his mother, who suffered with back pain for years. After visiting multiple doctors and trying a number of “solutions,” her search took a turn to chiropractic. Dr. Doug’s mother finally saw an improvement in her back pain, with it ultimately resolving—something no other doctor had been able to accomplish for her. With a love of working with his hands and a kind, helpful demeanor, Dr. Doug makes patients of all ages feel at ease at Clayton Park Chiropractic Centre as he promotes healing and spinal health. Just as he loves seeing patients of all ages at Clayton Park Chiropractic Centre, Dr. Doug is an avid family man outside of the practice and enjoys spending time with his three wonderful children Alexandra, Carly and Ben. Dr. Doug is an active member of the Halifax community, taking roles in his children’s sports when the opportunity presents itself. Hoping to set a good example for his patients, he aims to live a healthy life in every way he can. We’re excited to get to know you and your family members while helping you achieve your health goals. To learn more about how chiropractic care can benefit you, we invite you to contact our practice today for an appointment.